Almost every story idea starts with a climax or inciting event. Where do we go from here? Learn how to produce compelling plots for both discovery writers and outliners. You have a great story idea! Wonderful! Now how do you turn that into a coherent plot? 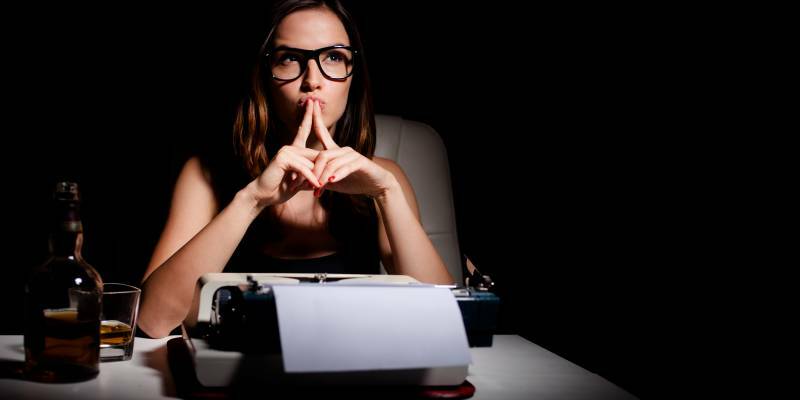 Do you have writer's block before you even pick up a pen? Here's a trick to turn your story idea into novel. Almost every writer starts with an idea for either a story climax or an inciting event. They are the most interesting parts of a book, after all. But in order to have a true plot with a recognizable story arc, it needs to be expanded in a manner that covers any major plot holes, that keeps people's attention, and builds the suspense. Some people are planners who outline their story and know every twist and turn of their plot before they write the first chapter. Others are 'pantsers' who prefer to just sit down and write, letting the story flow naturally. Most fall somewhere in the middle, each individual writer falling in a slightly different place in the spectrum. As a new writer looking to develop your plot, a staged approach is a good way to discover your preferences. Start with the bare basics and then proceed to flesh out the details until you feel comfortable enough to begin writing. If you ever hit writer's block, come back to your outline and flesh it out a bit more. You'll discover where you need to go next. Inciting event - What prompted your characters to get involved in your story? Your climax - How does your story end? That is the bare minimum to a plot - the starting and ending points. But in order to build tension and keep things interesting, you need a bit more. So let's flesh it out. Inciting event - Something interrupts your character's normal life. Decision point - Your character has a chance to escape his involvement in this story. Why doesn't he? Crisis - Without problems along the way, you have a boring story. What is fighting against your character? Climax - A major problem appears and must be solved or vanquished. That's a little better. A die-hard pantser could start writing here and have at least a general idea for where his plot needs to go. But I prefer a few more guideposts. Dilemma - Your character wavers, problems arise, and he might not go on this journey - why not? Decision point - He decides to continue on the journey? Why? More troubles - Does your character regret his decision? Could he turn back? Crisis - So many troubles, it looks like this is getting impossible. Turning Point - There's no going back. Regrets are forgotten or ignored. Problems are worked around. You character is committed and he's going to do this thing! Climax - Everything reaches a head. The final battle fought, the last confessions are made. The day is won (or lost)! Denouement - Life returns to normal - or the new normal. Now we have a story! You can see the rising tension and major plot holes will become more apparent. When you can see at at glance the path your story should take, you can also tell where the path might run into problems. With the path in place, you can take each one of those points and write a few chapters about them and your plot will follow a nice story arc. What happens in each chapter? When do side characters enter? Do your characters travel? Where do they go and when? Next to each chapter, keep a timeline - if your story begins on day 1, does chapter 5 take place on day 5? Or day 35? Or does everything happen on the same day? Do you have subplots in mind? Where does the subplot take place in the story? Match it up with your timeline. You could also add details of your scene settings, your character's culture, relevant world-building elements, or any other design element for your story. Your outline can be as sparse or as detailed as you like. Whether you are a planner or a pantser, every great story needs a great plot - and to get your great plot, you need to plan it out at least a little bit. Start small and add until you're comfortable. Plot Factory has a terrific outline feature that can help you get started. Choose your preferred outline format and fill it in with as little or as much as your story and your psyche require. Your story will be all the better for it. Questions? Feature Requests? Bug Reports?